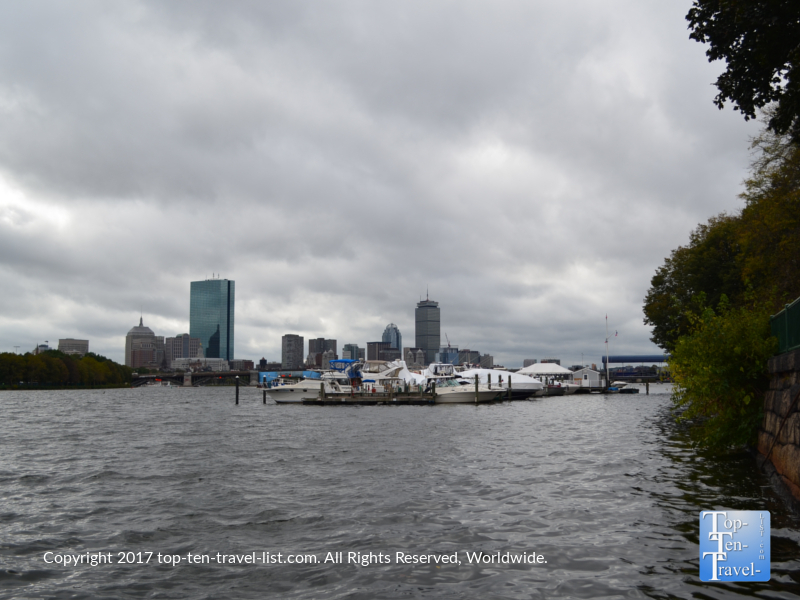 A Fall Cruise Along the Gorgeous Charles River - Top Ten Travel Blog | Our experiences traveling throughout the US. 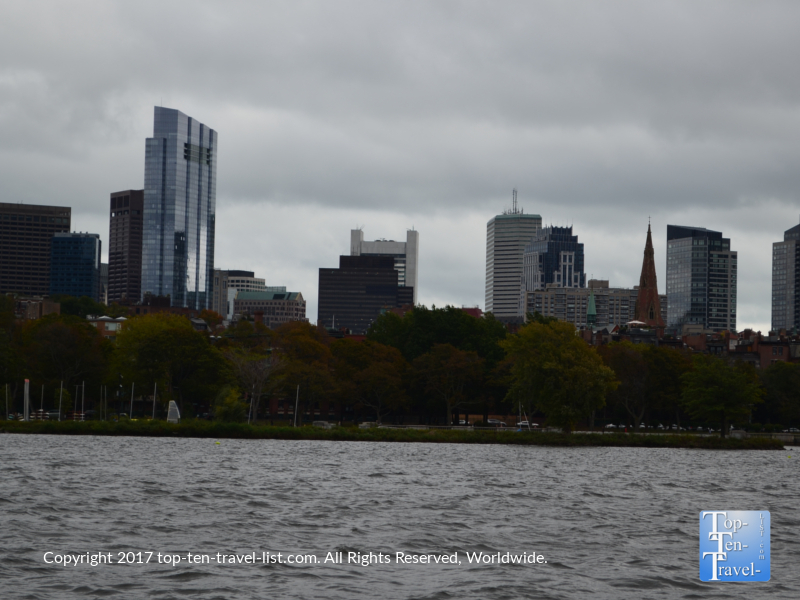 A leisurely afternoon cruise along the beautiful Charles River is the perfect laid-back way to take in all the historic architecture of both Boston and Cambridge. This 80 mile long river runs a 23 mile course , from Hopkinton (a small town just 30 min outside of the city most well-known for being the starting point of the Boston Marathon) to Boston Harbor. 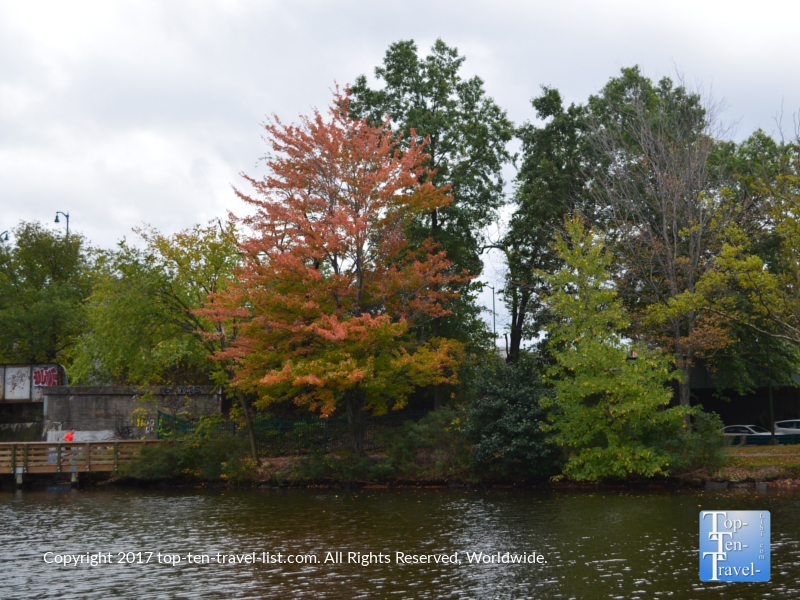 The Charles Riverboat Company offers a number of picturesque cruise options during the summer and fall season. 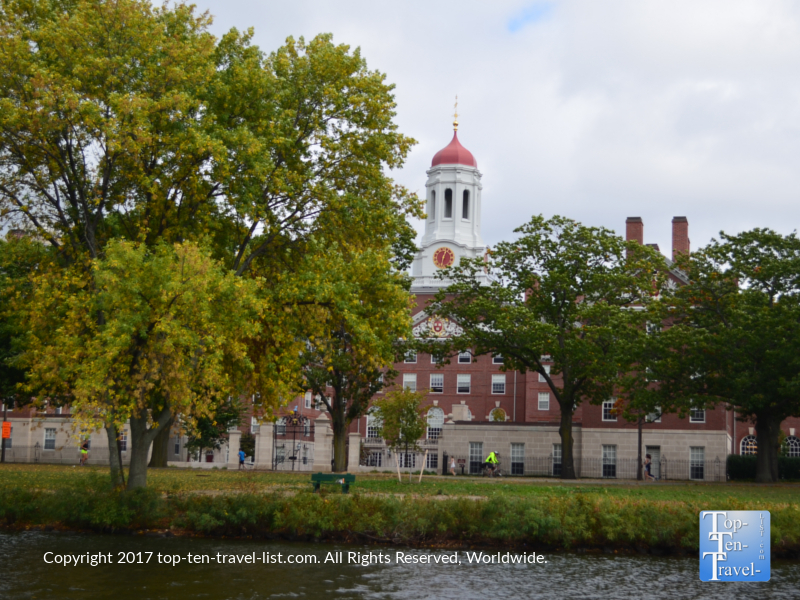 Along the way, you will pass many historic sights of interest including Harvard University, Beacon Hill, and the Massachusetts Institute of Technology. 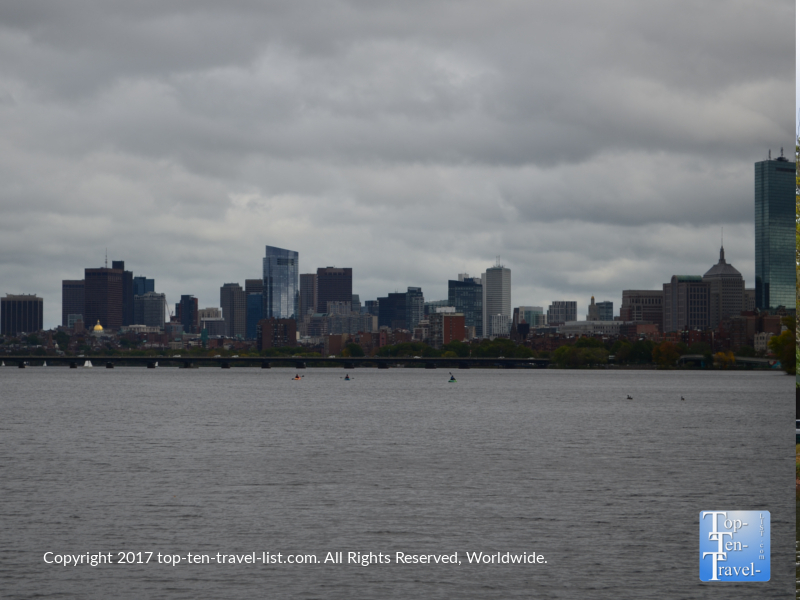 While there are a number of tour companies in the Boston area, this one particularly stands out as you get to enjoy views of both Cambridge and Boston. Plus, it’s less congested, easier to find parking, and much more affordable. 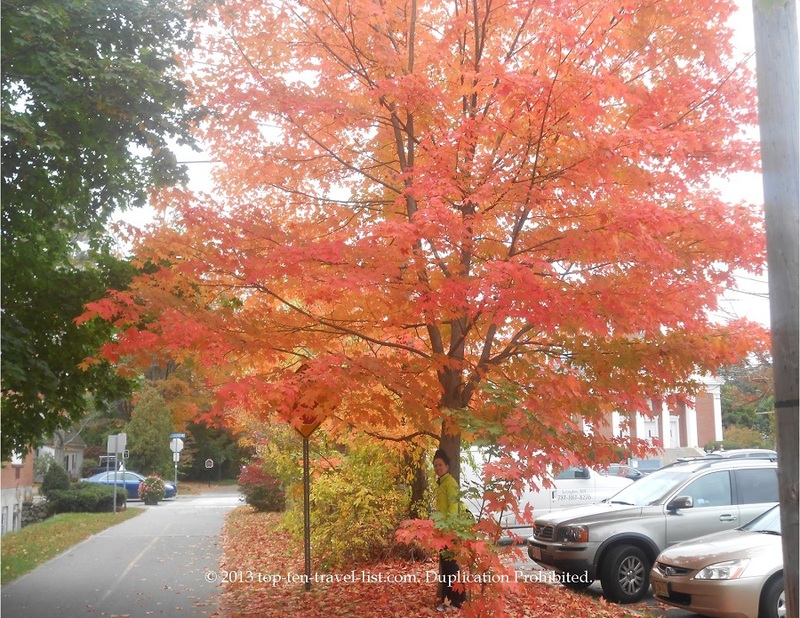 The fall foliage cruises are most popular as New England is well-known for having some of the best foliage in the world. The gorgeous historical architecture combined with the traditional hues of autumn would really create some postcard worthy scenery. While peak season typically falls around the 2nd or 3rd week of October, this year’s foliage was pretty dismal due to record high temps. Although we didn’t see all that much in terms of fall colors, we did enjoy the beautiful river and skyline views. About the only foliage we saw the entire trip although our visit fell during typical peak season! Fortunately the skyline views were gorgeous! 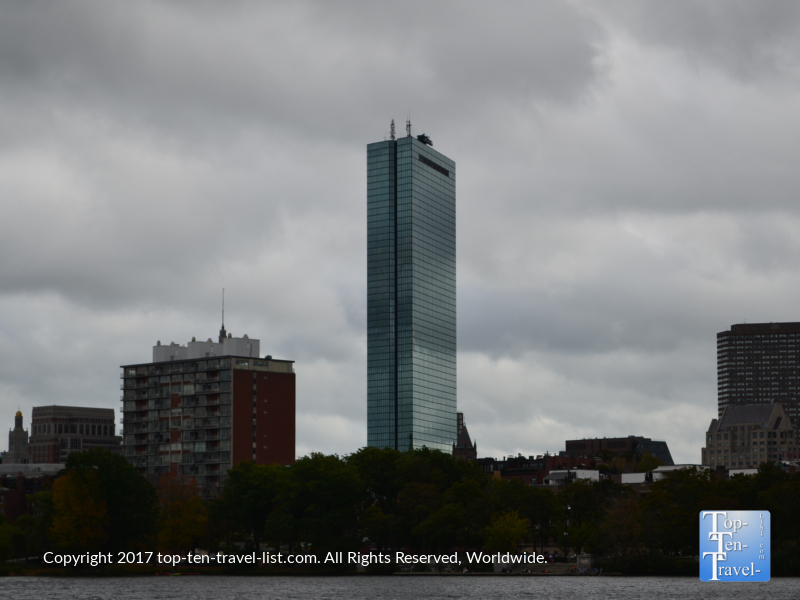 The 200 Clarendon, formerly the John Hancock, is the tallest building in New England, at 790 ft.
A cruise along the Charles River is one of the most relaxing options in a busy summer/fall destination city like Boston. 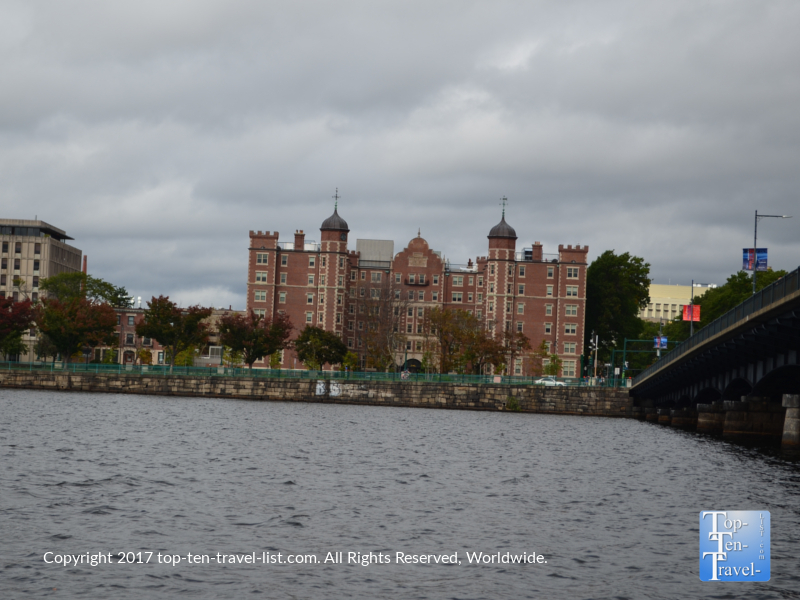 As you kick back on the open air boat enjoying the lovely New England scenery and fresh breeze, you will also get to take in a bit of area history courtesy of your informative tour guide. Complimentary snacks and apple cider, as well as a cash bar are available. 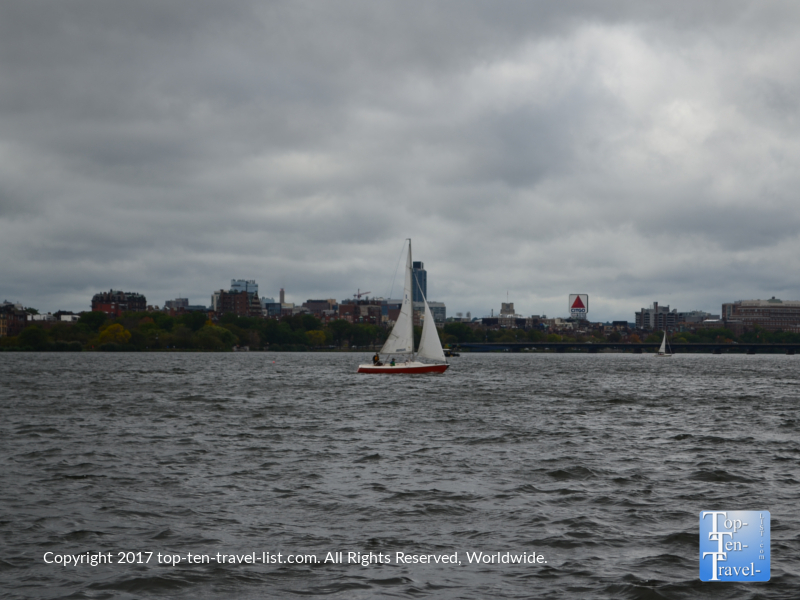 Seeing all the locals out and about enjoying the beautiful Charles River makes for a fun & different way to take in the sights of a beautiful city. 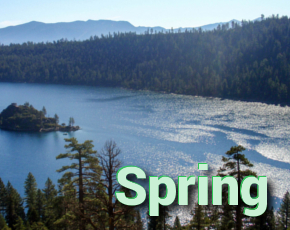 Rowing, sailing, paddleboarding, kayaking…you will see about every recreational water sport during your trip. 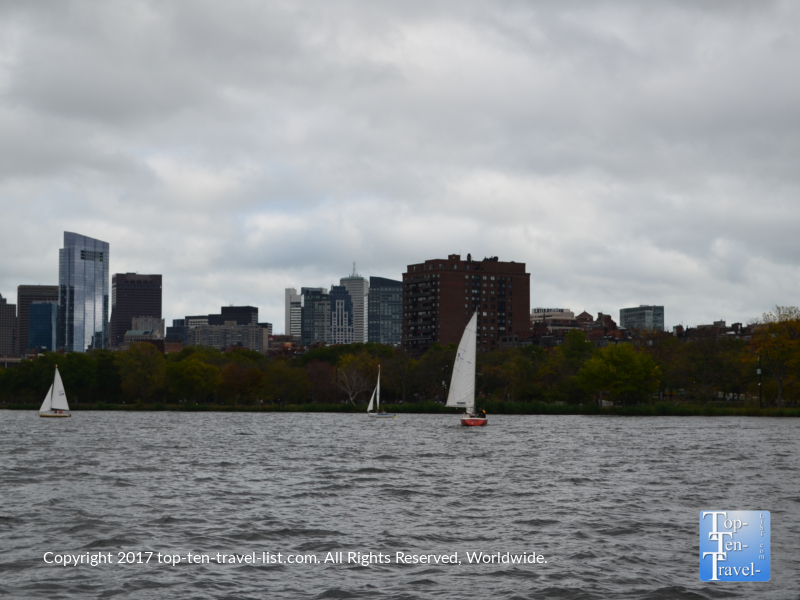 After seeing all the fitness enthusiasts enjoying the Charles River Path, you will want to get out there yourself and enjoy the beautiful Boston weather, culture, and nature. The 23 mile long Charles River Path is beautiful, shady, and flat…the perfect conditions for any type of exercise. 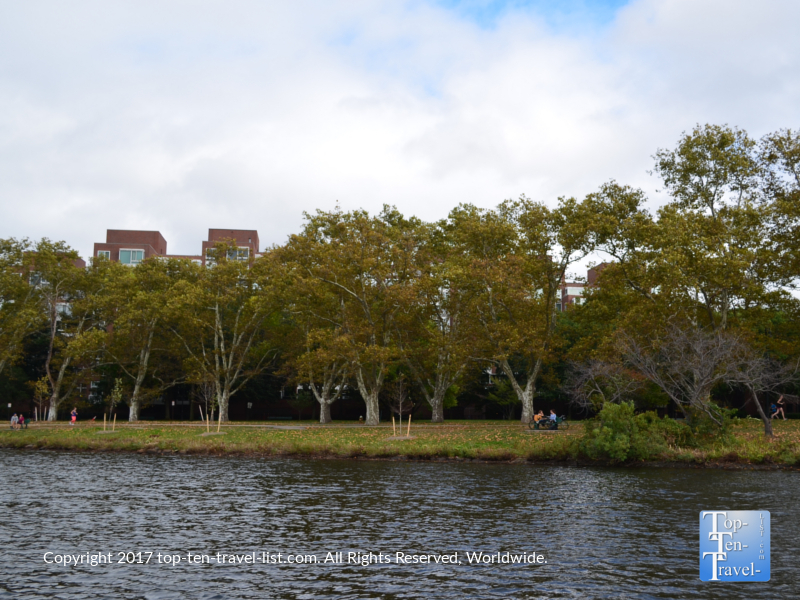 The gorgeous 20+ mile long Charles River bike path – what a scenic place to bike, run, or walk! 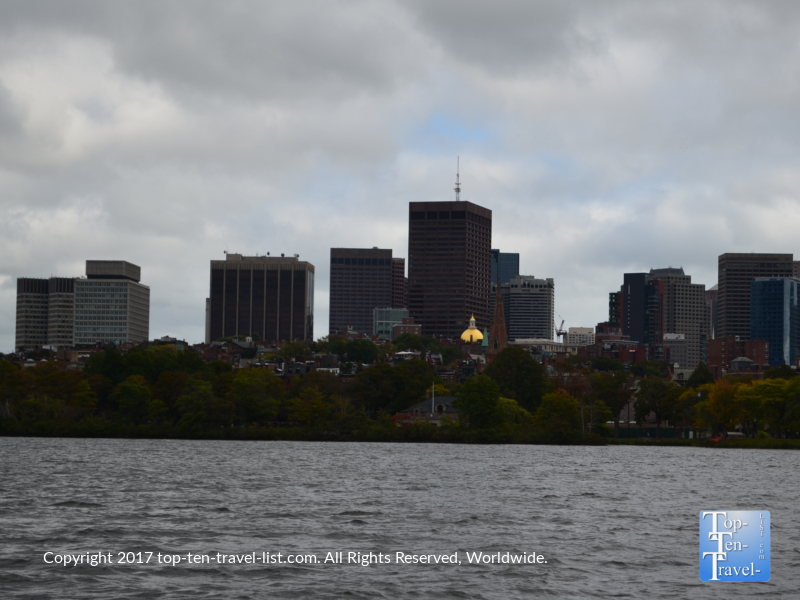 Cambridge is just a quick drive or taxi ride from Downtown Boston. It’s worth the detour if you have already walked the Freedom Trail, strolled around the Common and Public Gardens, and are looking for something new to do. This cruise is entertaining, scenic, and relaxing all at the same time, which is hard to come by in a busy city. 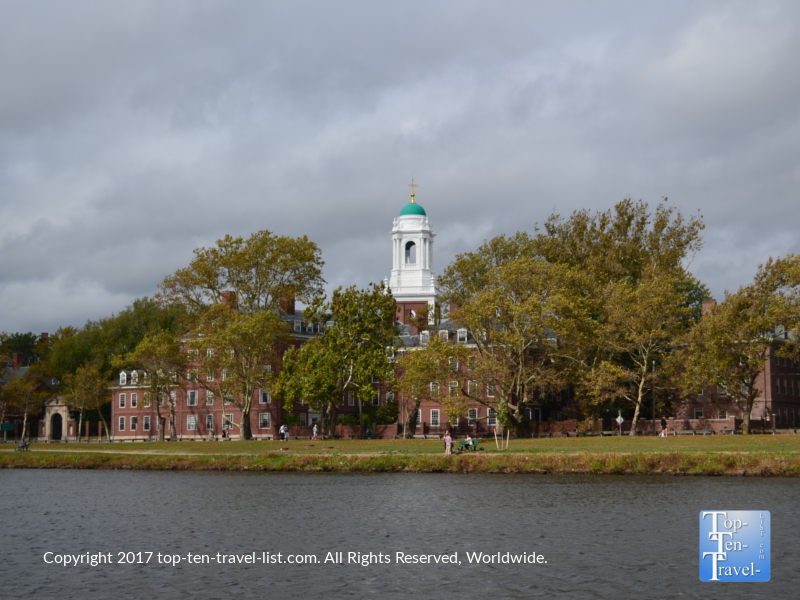 Taking in the historical sights & stunning Massachusetts architecture along the Charles River is the perfect way to spend a lazy afternoon in Boston. I love that you can park in the mall lot for under $5 bucks (really a steel compared to the pricey lots all over Boston). 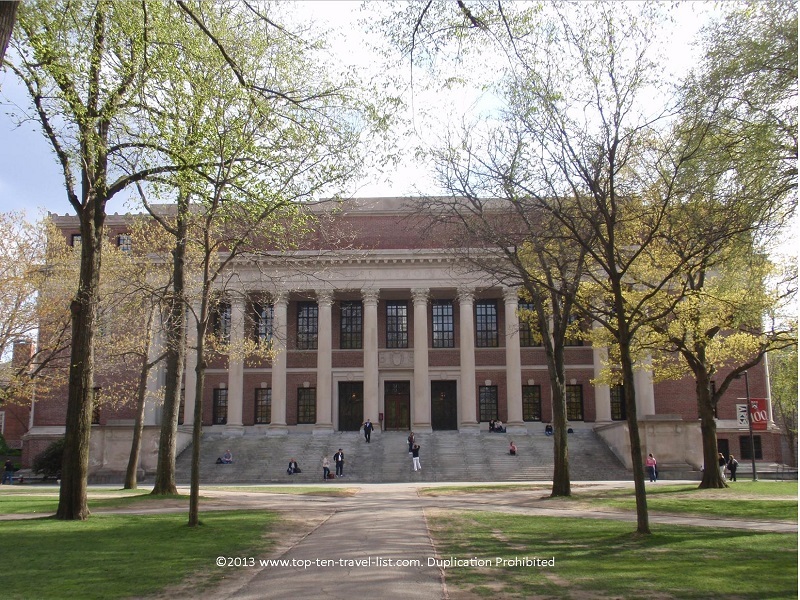 While in the Cambridge area, I also recommend taking the fantastic, free tour of Harvard University. Not only will you get to take a walk around the school’s gorgeous grounds, but you will also learn a lot about the history of the school and local legends, and even get to enjoy a few interesting tidbits about campus life. Harvard’s gorgeous Widener library was dedicated by Eleanor Widener to her son Harry after his death in the sinking of the Titanic in 1912. You’ll learn this as well as many other interesting tidbits on the Harvard tour. When you get back to Boston, there are of course tons of wonderful options for lunch. If you are up for Italian, check out La Famiglia, a friendly local Italian joint in the North End. Craving seafood? Check out Legal Sea Foods, which offers not only tasty seafood, but great views of the harbor. 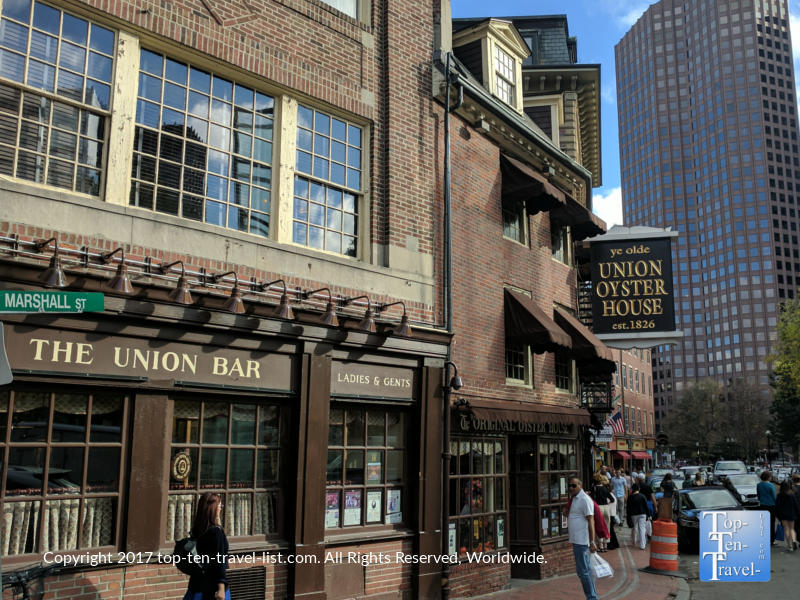 And if you are looking for something a bit more touristy and cultural, check out the Bell in Hand Tavern, the oldest pub in the country, located right in the middle of all The Freedom Trail action. They have excellent seafood and a great view looking out at the North End. Try the Fishermen’s Platter! 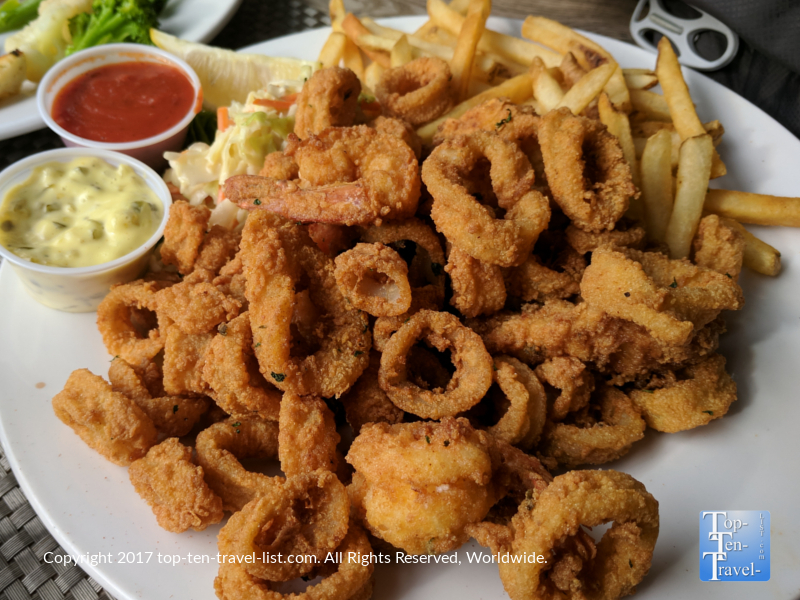 The delicious Fisherman’s Platter Plate (fried calamari, haddock, shrimp, and french fries, served with cole slaw). What a treat! Gorgeous views of Boston’s historic North End neighborhood. Bell in Hand is the perfect place to enjoy all the hustle and bustle while also catching the Patriot’s or Red Sox game! 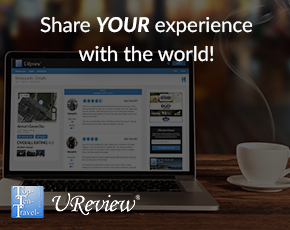 Tip: Check Groupon for specials deals!